Every historian/collector has his own preferences. One is looking for the high end top rank's stuff, another one is looking for as much collectibles as possible. I'm focused on everything related to one specific German garrison (Idar-Oberstein). But I'm sure everybody is at least interested in the extraordinary, "customized" stuff you won't see every day. Going through a box of photographs in the German Artillery Society's archive I stumbled upon a picture of two Bundeswehr soldiers in white coveralls. Something like Navy or AirForce flight suits were my first thoughts but on a second look I noticed the Army rank insignia. In addition the enlisted on the left seems to carry a red (Artillery) beret within his coverall's hip pocket. Obviously the other soldier (Stabsunteroffizier) is regarding aerial photos. 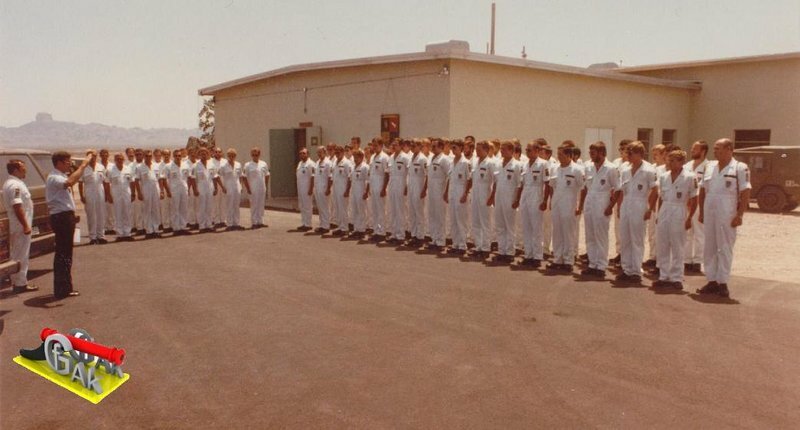 Could it be early drone (UAV) personnel at work, ....in white coveralls? 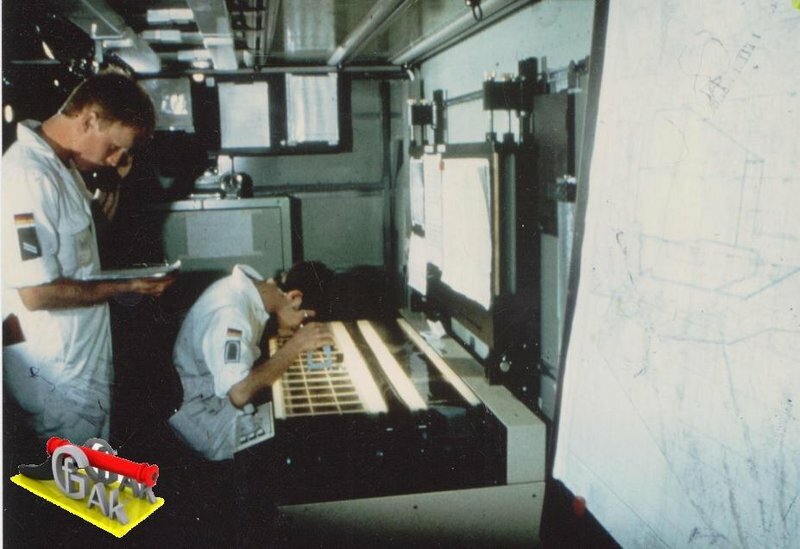 This picture intrigued me and I called a senior NCO who served a long time with the Drohnenlehrbatterie 300, the (drone/UAV training battery), garrisoned in Idar-Oberstein for more than 20 years. I asked him about white coveralls in use by the unit. He told me that these coveralls were worn from 1981 – 1983, when Drohnenlehrbatterie 300 was performing hot climate trials with a new UAV (Drohne CL 289) in Yuma, Arizona. 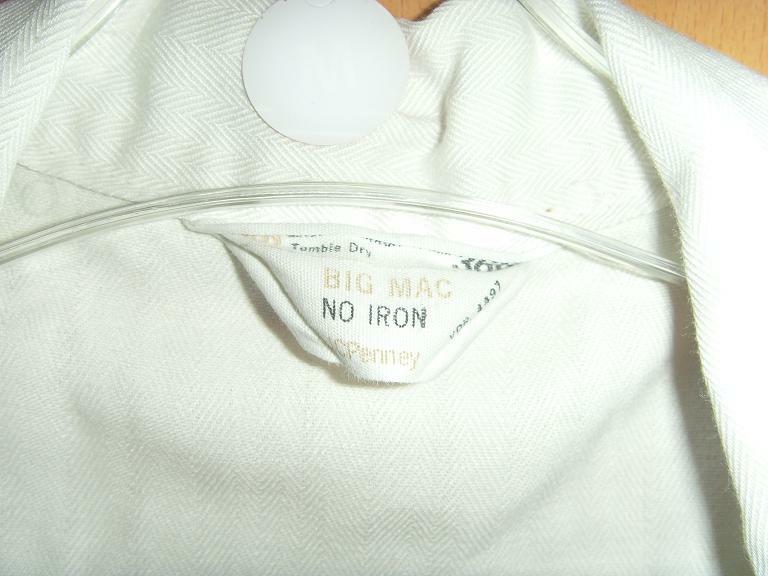 And he rembered, how these "uniforms" were called by the members of the battery: "Big Macs". I thought that he was kidding me. Then he told me more about these trials in Arizona. 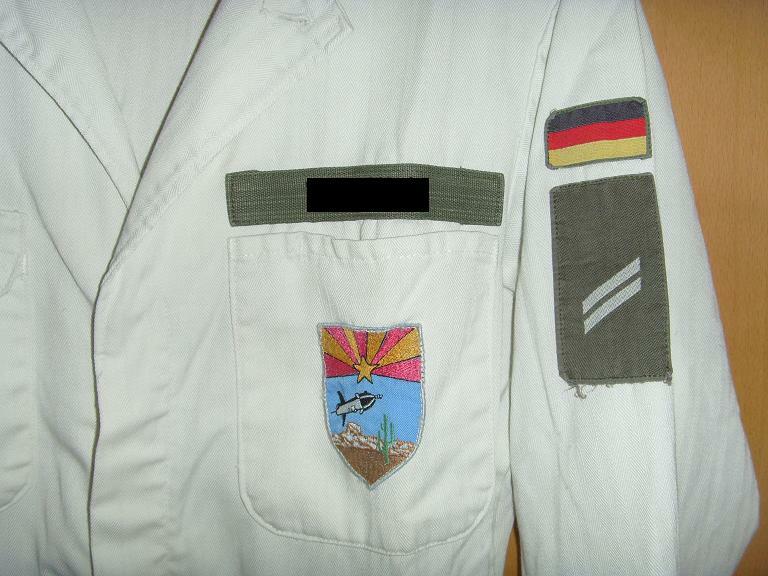 The battery was send to Yuma proving ground with standard German OD field uniforms. Sandy-colored Dienstanzug uniforms were issued as well but these were of course unpractical for the daily work. The German Army had no hot climate fatigues these days. In a local "JCPenney" store white coveralls were found. To give that coveralls an "uniform look" national insignia, rank insignia, name tapes and a local made pocket patch were sewn on. The battery commander decided to launch a request for approval. Actually the German Liasion Staff in Washington approved the "uniform" for local wear during these trials. As far as the NCO remembered each soldier bought 2-3 of these coveralls. 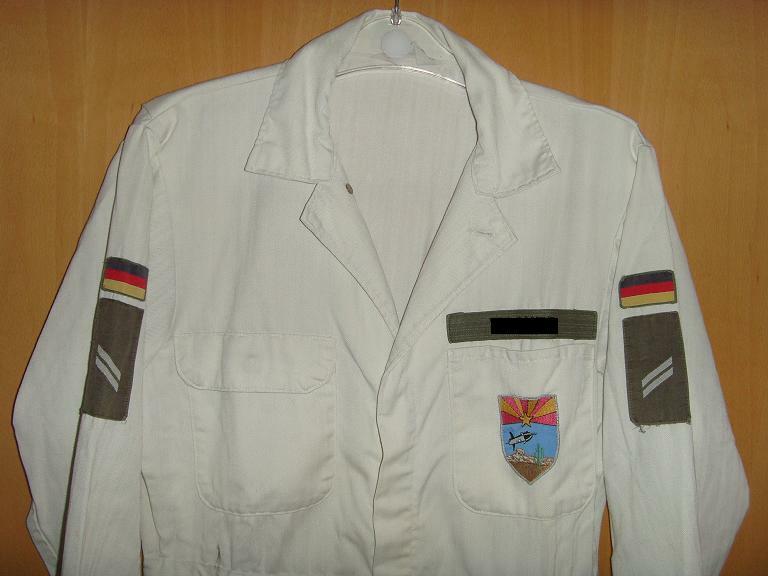 When meeting the NCO he gave me his overall for the German Artillery Society's collection. Additionally he showed me the battery's chronicle with dozens of pictures showing these uniforms worn during the trials. Still today reunions of the former members of this trial-unit were called "Big Mac Treffen". IMHO these Big Mac coveralls meet all uniform criteria. They were worn by an entire unit, they were approvad (for local wear) by a higher HQ and regulations were made for their wear. Now let the pictures speak for themselves. Finally some insignia worn by the unit until it's deactivation. That's a great piece of detective work on your part. I can just imagine running across one of these uniforms in a thrift store and wondering what in the world it could be since it has a J.C. Penney label and German insignia. Also, those are some great patches with the Arizona flag incorporated into them. One question--when you say the pocket patch was made locally, do you mean it was made in Arizona? The one on the Big Mac appears to be woven and I'm wondering who they found in Arizona at that time to make a patch that way? I'm not saying it could not have been done, just wondering if it was a local insignia merchant who sent overseas for the work to be done? I like how this post has the US connection , its one of those pics that people in years to come will try to figure out about a German unit in the US. Lars if you can write up an article of German SSI , cid and construction from the 50's onwards and relationship with US military that would be a great thread. Much appreciated for the post. Thank you both for your kind feedback! @Dave: I tried to find out more about the uniform's patch origin last week, unfortunately without any success. I will post any further results when I have talked to one of the Yuma trial veterans in the future. 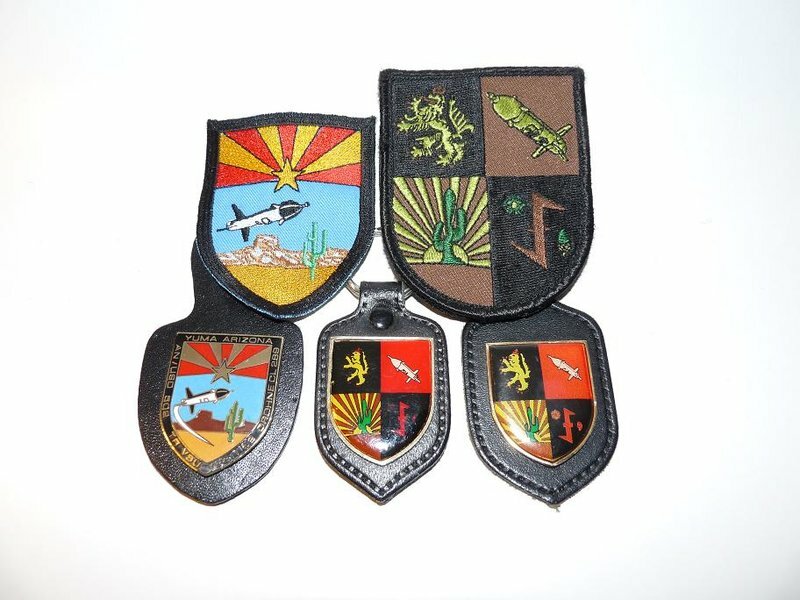 @Phill: You're talking about US Military related German post war insignia, right? Yes, there are many pieces out there. Maybe I'll start a thread in the "Foreign/International insignia section. BTW, what's the meaning of "cid", please? 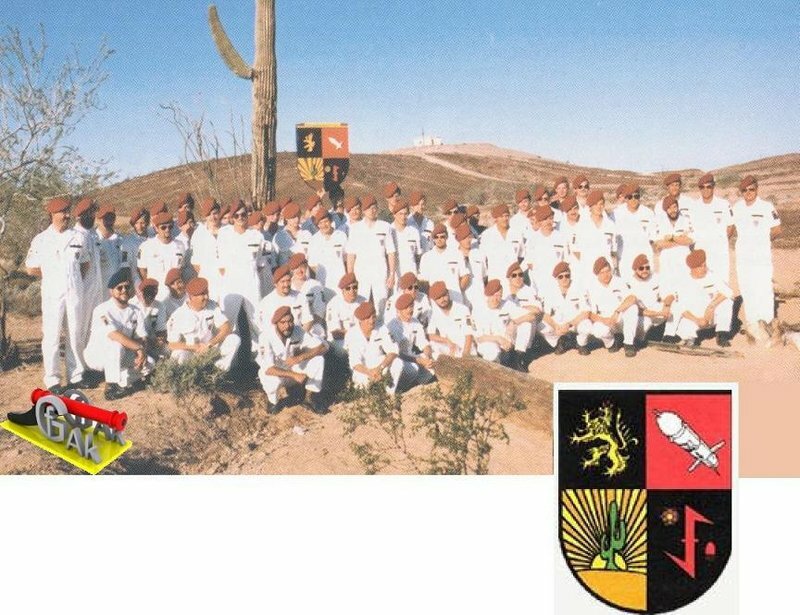 Please start a thread on German military SSI post war , I believe there would be a strong connection with the US under nato so it will be an ongoing feature, not to sure where i put "cid"
"...Lars if you can write up an article of German SSI , cid and construction from the 50's onwards and relationship with US military that would be a great thread...."
Epilog: Last month I got a call from a retired Stabsfeldwebel. He wanted to donate the insignia he collected during his career at the German Arty School to the German Artillery Association. When I visited him I learned that he had collected a nearly complete collection of all German Arty pocket hangers available in the 1980's/1990's. Within the lot I found a pocket hanger for an AN/USD-501 UAV unit. Upon request he told me that he had collected these insignia from trainees joining different trainings at the Arty School in Idar-Oberstein. At least this one I've never seen before. 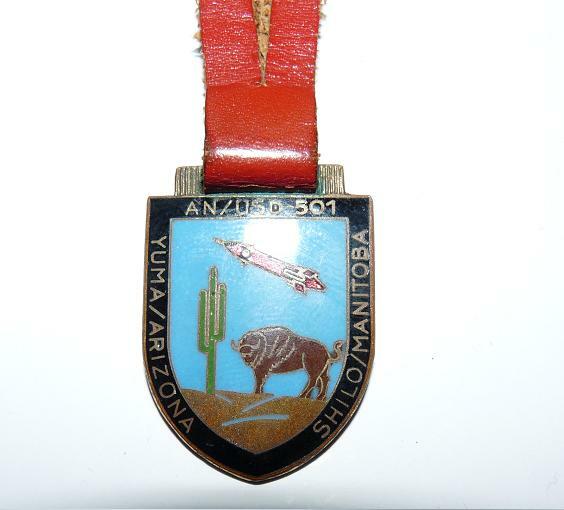 Doing a short online research I learned that the UAV Drohne CL 89 was tested in Yuma/Arizone and Shilo/Manitoba in the 1960's as well. Unfortunately this little gem has no manufacturer's logo.